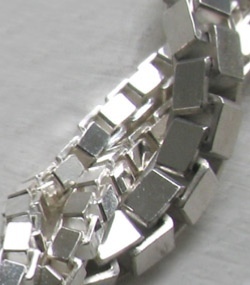 These silver box chains are cut on 8 sides which gives them a wonderfully bright sparkle as the edges catch the light. 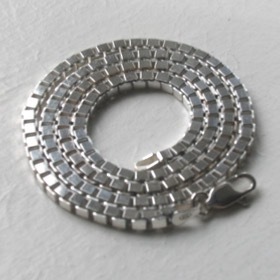 A box chain is a type of link chain with square links and beautifully fluid. Team up a rectangular or square pendant with a box link chain. For more choices, see all of our diamond cut chains in our Sparkle Collection.